What do you think the ramifications will be? I wonder. So mental health experts are messing with the definition of autism and the diagnostic criteria. My mind boggles with what that will mean to the future children being diagnosed, and the children already diagnosed today. How will we be able to accurately track the rise in autism rates and apply research on a potential environmental contributing factor if we throw this monkey wrench into the mix?! And down the road in a few years, the news reports will say that autism is on the decline and some government agency will take credit for it. Not because of changes made to our environment or perhaps improved treatment options…but because the diagnostic criteria has changed. What will this mean to children already diagnosed and receiving services that no longer qualify based on the new criteria? Does it mean they no longer need services because on paper, they don’t have autism, just Aspergers. What would have happened if this new criteria was around when my son was diagnosed? His diagnosis was high-functioning autism. Would he have received a diagnosis of autism and qualified for the much-needed services he has received over the years? I credit biomedical intervention AND behavioral therapy for his huge gains since his diagnosis. I’m sure there is some good news in all of this somewhere. Maybe for the insurance companies that would have to provide services in the states that have adopted insurance reform. I don’t know about this one. I’d love to hear from you and what your take on it is. I haven’t written a post in a while and thought about which topic to start with first. But I’m thinking an update on all the good things that have happened over the past several months is deserved. 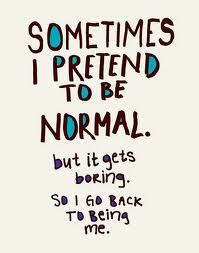 Life has been pretty good, busy and somewhat “normal”. But what is normal in the life of a family overcoming autism? Well, for starters, both my sons are growing like weeds. I can’t keep enough food in the house, let alone in their stomachs. My preteen son eats more than both my husband and I combined. His shoe size is a men’s 10 and is already 5’6″ at age 12. I think I’m actually spending more money on groceries and his shoes each month than vitamin supplements. And that’s a lot! My younger son with autism went through 35 treatments (dives) of hyperbaric oxygen therapy (HBOT) this past summer. It was tough to keep up the treatments at a facility that was an hour drive away from home (each way). We saw immediate gains after the first 10-15 dives. His expressive language was soaring and his eye contact rocked! We slowly saw improvements come gradually during the remaining dives. His gut was improving and bacteria died off. Focus, attention and eagerness to have friends come over for play dates all improved. We continue to see steady improvement each month. It’s very gradual and he just seems to do better and better each week. HBOT stimulates the growth of new blood vessels and increases blood vessel diameter which improves circulation to damaged organs (his brain). This process continues for up to six months once treatment is stopped. 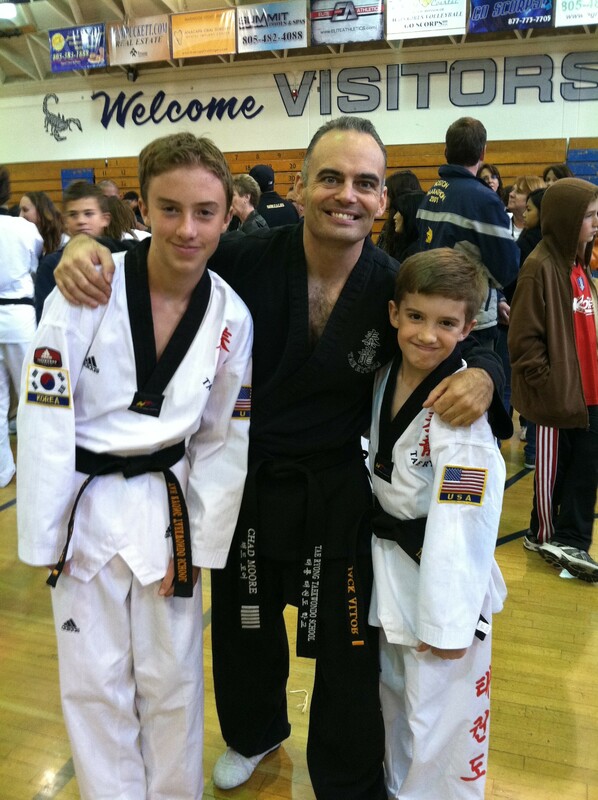 I am proud to announce that both of my boys are now first degree black belts in Taekwondo! It is such a huge accomplishment for them, especially for my son with autism. He had to learn to focus, stay at attention, do numerous kicks, blocks, punches and all eight Taekwondo forms. Each form has 18 steps in them which must be done in sequence. He also had to break boards with punches/kicks five times during testing. 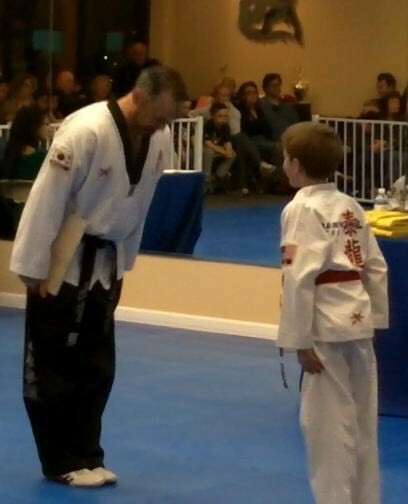 Not an easy thing for a child that started classes three years ago, with lack of attention, focus and just plain disobedience to his Taekwondo Master. He also feared board breaking, mostly due to the sound it made. He is doing awesome in class now and a lot of the parents keep telling me what a different boy he is today, verses when he began. I could tell they wanted to say that he seemed “normal” now, but held back because that would be an odd thing to say. So what is normal in the life of a family overcoming autism? My boys argue over inane matters, are competitive with each other, vie for their parents attention, go to school, do homework, have friends and have overcome a lot in the past four years. Our normal may be a lot different from other families. Autism will forever touch our lives. We deal with it each and every day. Some days we see it more than others…sometimes not at all. My son’s behavioral agency held a 12 week course for some of their clients on developing social skills with peers that are at the same level developmentally with a similar autism diagnosis. My son was a fortunate participant in this course on social thinking. It was based on the curriculum of Superflex and the Unthinkables created by Michelle Garcia Winner. Her website is www.socialthinking.com and it’s a great resource for parents, teachers, SLPs, therapists and family members. The Superflex curriculum teaches children on the spectrum fun and motivating ways to develop strategies for better self-regulation across a range of behaviors. It teaches “social smarts” through the various comic book characters that depict behavioral challenges kids on the spectrum face. My son loved this curriculum and his social skills have soared since he attended these classes. Just having the ability to let him know when his behavior is “unexpected” in a social situation helps him tremendously. He identified with some of the Unthinkable characters in the book and understood how others would perceive him as one. Another resource for teaching social skills is the book Crafting Connections by Autismpartnership.com contributors. Dr. Manny from Foxnews.com loves this book and I really like Dr. Manny. He has a teenage son with autism and features articles on this topic frequently. Watch the video by Dr. Manny on Boosting Social Skills to learn more about this book from its author. I have found that my 8 yr. old learns a lot through organized play dates with friends. He now initiates them and has applied his strategies he has learned on dealing with social cues and his behaviors that emerge during the one-on-one interaction with a friend. We are blessed to have some wonderful families involved in my son’s life and he has gained many friends through school, cub scouts, Taekwondo and church. If your child is high-functioning enough, get him/her involved in activities other than school to expand their social networking opportunities. You will need to meet parents of other kids, assess how their child interacts with yours and pursue those opportunities for your child. It has improved the quality of life for my son beyond measure. Hyperbaric oxygen therapy (HBOT) has been around for decades and the healing properties of it have been utilized by many doctors, researchers, athletes, and yes, even Michael Jackson. My first impression of HBOT was when I learned how it helped scuba divers with the “bends”, or decompression sickness, which occurs when the diver surfaces to quickly and nitrogen builds up in their body. It’s very painful and can even cause death. The treatment is to quickly get them to a pressurized chamber and have them breathe 100% oxygen. In the 1980’s Michael Jackson started napping in a HBOT chamber to reap the health benefits and to preserve his youth. Seemed sort of creepy and strange to most everyone, and made you believe that HBOT was only for the wealthy. Star athletes, like Lance Armstrong, and major sport franchises have their own chamber to aid athletes in recovery from injury quicker. 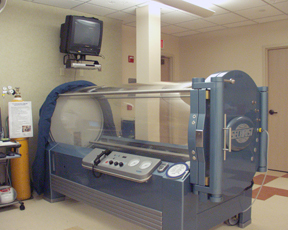 Hyperbarics is a technology in which the air pressure in the environment is increased. Hyper means increased and baric relates to pressure. Hyperbaric oxygen therapy (HBOT) thus refers to intermittent treatment of the entire body with 100-percent oxygen at greater than normal atmospheric pressures. 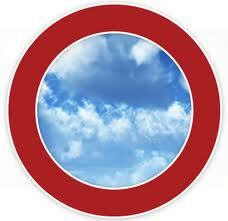 HBOT involves inhaling 100% oxygen at greater than one atmosphere absolute (ATA) in a pressurized chamber. The air we breathe at sea level is defined at 1 ATA. Low pressure/mild hyperbarics uses 1.5 ATA or less. When a person’s body is placed in a more pressure environment, it absorbs more oxygen molecules per volume of compressed air. The body normally transports oxygen via the hemoglobin of the red blood cells. By increasing the air pressure, oxygen is then driven into the body’s fluids, allowing a super-saturation of the tissues and organs with oxygen. The increased pressure infuses the body with oxygen, even reaching injuries with damaged circulation. An example of this is a blood clot in the brain (stroke). What are the benefits of HBOT? It greatly increases oxygen concentration in all body tissues, even with reduced or blocked blood flow. Stimulates the growth of new blood vessels to locations with reduced circulation which aids the body in its own healing process. Increased oxygen greatly enhances the ability of white blood cells to kill bacteria. Increases blood vessel diameter greater than when therapy began, improving blood flow to compromised organs. Multiple studies have shown that autism is a neurodegenerative (a loss of nerve cells/death of neurons) disease that features cerebral hypoperfusion, brain and GI inflammation, and increased oxidative stress. Hypoperfusion refers to decrease blood flow. Numerous studies on children with autism have shown decreased blood flow to the brain, especially in the temporal regions. The temporal lobes are responsible for speech, memory, emotional responses, auditory and visual processing, and olfactory (sense of smell)). This hypoperfusion is associated with many core symptoms of children with autism. Decreased blood flow to the temporal lobes has also been correlated with an “obsessive desire for sameness”, “impairments in communication and social interaction”, and also with decreased IQ. Decreased blood flow to the temporal lobes and amygdala has been correlated with impairments in processing facial expressions and emotions and trouble recognizing familiar faces. Decreased blood flow to the thalamus has been correlated with repetitive, self-stimulatory, and unusual behaviors including resistance to changes in routine and environment. Cerebral hypoperfusion causes hypoxia (or decreased oxygen), which triggers electrical failure in brain cells. Worsening hypoxia then eventually results in ion pump failure, which ultimately leads to cell death. Studies have shown that the oxygen delivered by HBOT can reverse hypoxia in brain tissues caused by hypoperfusion. Inflammation is a known cause of decreased bloood flow. Research has shown us that when the GI tract is inflamed, so is the brain and immune system. It’s the triad of the gut, brain and immune system that are susceptible to inflammation if one of the three is damaged. HBOT improves gut inflammation by killing off the bad bacteria. Bacteria thrives on an oxygen deprived environment. When infused with oxygen, it dies off. Therefore, having a good probiotic on board, anti-oxidants like vitamin E, selenium, glutathione, and melatonin are recommended during HBOT treatments. HBOT has improved symptoms in children with autism including enhancements in socialization, language, and repetitive behaviors. The GI tract improves, inflammation is reduced/eliminated, better sleep and improvements will continue months after treatment is concluded. Hard Chamber or Soft Chamber? This question is dependent on the child and doctor’s assessment of need. The hard chamber provides 100% oxygen at 1.5 ATA. The soft chamber uses room air and an oxygen concentrator that delivers 28% oxygen at 1.3 ATA. Less pressure, less oxygen concentration. Both chambers have shown effectiveness in eliminating symptoms of autism through studies. The advantage to the soft chamber is parents can purchase or rent them for their home. This becomes more feasible for families that don’t have HBOT providers close to home. And all members of the family can be treated in the comfort of your own home. Plus you can take electronics into a soft chamber, so a game system like my son’s Nintendo DS will help occupy his time. The number of treatments range from 40 dives to 80 dives. Each treatment is one hour. Most clinicians recommend at least 40 dives. Improvements may be seen as early as 10 dives, depending on the child. The recommendation is to have 40 treatments over 8 weeks. That’s 5 days/week with weekends off. Cost of HBOT session range from $100-$150 per session. It is not for the faint of heart when committing to this financial investment in your child. I’m still investigating the cost of renting a soft chamber, so that will also factor into our decision on which chamber we’ll use. Why HBOT for our son? Well, the above information I provided is one reason. The main reason I am pursuing this therapy is that my son with autism suffered from obstructive sleep apnea from the age of 9 months to 2 yrs 10 mos. His sleep study indicated hypoxia, which means he is a perfect candidate for benefiting from HBOT. I believe he has brain cells that are “idling” right now and will get turned back on with the oxygen infusion. He also battles gut bacteria, low glutathione levels, and heavy metal toxicity, which will be reduced/eliminated with HBOT. We have not determined which chamber we will pursue. A hard chamber is available to us, but is a one hour drive from our home. It takes approximately 15 minutes in the chamber to get to the pressure level and then each session is one hour. 15 more minutes to come back to normal pressure, resulting in a total of 1.5 hrs inside the chamber. Add to it the 1 hr drive to and from and our HBOT treatments now will take approximately 4 hours out of our day. We anticipate to start in the summer, with the break of school. The soft chamber rental is still an option that we are investigating. Both options appeal to us and we need to determine what is best for our child and family. If you’re thinking about HBOT for your child, there is a ton of information on the internet and the research with children on the autism spectrum. We’ve been wanting to do this treatment for 2 years now, and 2011 is the year we will achieve this goal. SKILLS: Autism New Tool – Free Trial Now! The Center for Autism & Related Disorders (CARD) has released a free trial today of their SKILLS program. 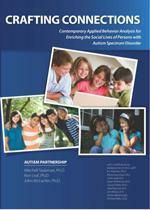 It is a comprehensive web-based treatment curriculum for autism recovery. CARD is releasing their curriculum to the world in the form of an interactive computer program that allows parents, teachers and therapist to create a uniquely tailored program for all of the skills a child will need to learn in order to “catch up” It can be used in conjunction with your current ABA program or it can be a means to start an ABA program, it tracks biomeds and other interventions and even creates IEP reports and recommendations based on your child’s needs. I got to see a preview of it a few weeks ago and was so excited, it was that good! I know it is going to help a lot of kids around the world. CARD has given Everyday Autism Miracles (internet talk radio show) 50 free trials of the program that will allow a parent to use the program until the end of the year, for free. They have hinted that they might give Everyday Autism Miracles 100 free memberships if we can get enough people to register. If you or someone you know would like to register please have them email the show’s host, Shannon Penrod at shannon@everydayautismmiracles.com – include their name and one sentence about why they would like to try the program. That’s it. Do you know what I want to be when I grow up? The other night my son with autism posed this question to me. It caught me by surprise, really. He has never talked about this before and I didn’t think he thought that far out into the future. I remember the milestone he accomplished in Kindergarten when he understood the concept of next week or next month. 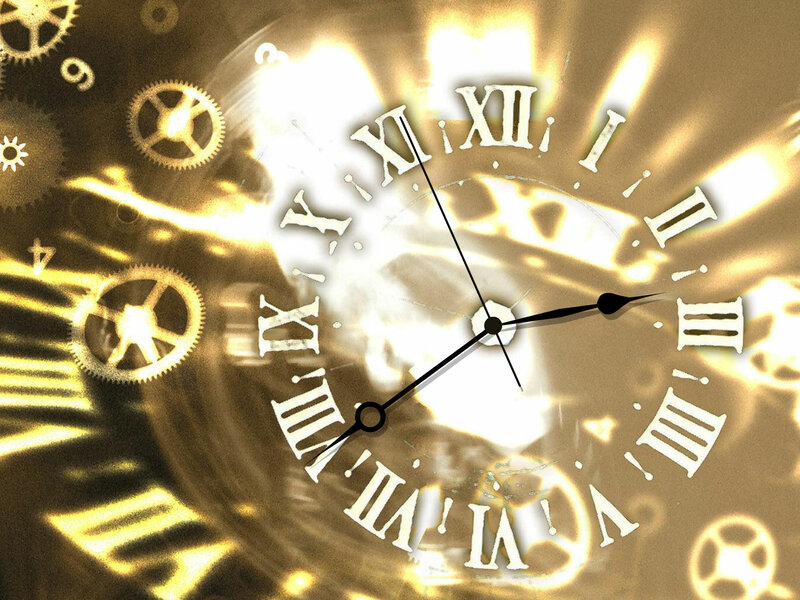 Most kids with autism usually don’t grasp time concept easily. We take much of our understanding of language and abstract concepts for granted. Understanding abstract concepts usually develops naturally, but for a child with autism it can cause confusion. Most kids on the spectrum are concrete and literal thinkers and “the future” is a concept that is difficult to grasp. The other hurdle is that your child with ASD may be a visual learner or thinker. If they can’t visualize the future, they don’t understand this concept. The key to teaching abstract concepts like time, is through visuals. Saying to your child that “We are going to the party on Saturday” will cause confusion if they have no concept of time or how the calendar works. Showing visuals with a calendar that shows them the current day, number of days until the event and written party on the day of event can help them learn this concept. We worked with our son on time concepts, past, present and future in his behavioral therapy sessions. He also learned it at school, but it took him longer to grasp it than it did his peers. We’ve known that he understands future concepts for a while now, and he has shown more and more an understanding of it. For instance, he is in 2nd grade right now, and his older brother just went on a week-long trip with his 6th grade class to a marine science camp. He is looking forward to his turn and talks about how long it is before he is in 6th grade and can go to camp. So it shouldn’t have surprised me when he spoke of the future in terms of when he is grown up, but it did. I just needed reminding that he is going to be grown up one day, and will be just fine. By the way, my son told me he wanted to be a football player. I asked him why a football player (since he doesn’t play it) and his reply was “so daddy can watch me on TV”. Hmmm, maybe my husband’s love for NFL football is contagious. Either way, I’m comforted by this conversation and very hopeful for his future.